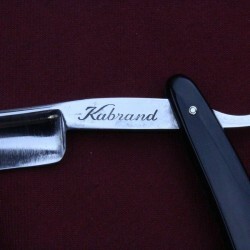 This vintage Kabrand 6/8 razor has a round point, and black composite scales. 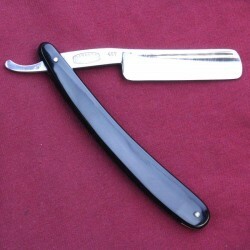 It is of fair weight and is designed for stronger beard growth. 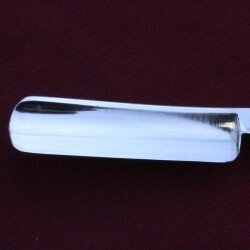 The blade has jimping to the upper and lower tang. 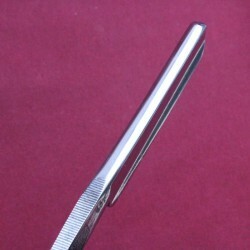 The blade has just a small amount of hone wear. It also has a little historical corrosion including a very small patch near the edge but honing has produced clean steel. 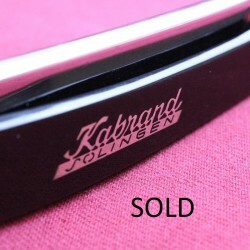 The scales and pins are in good condition. 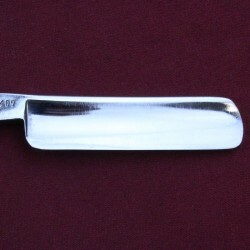 The razor has been honed and is supplied shave ready. 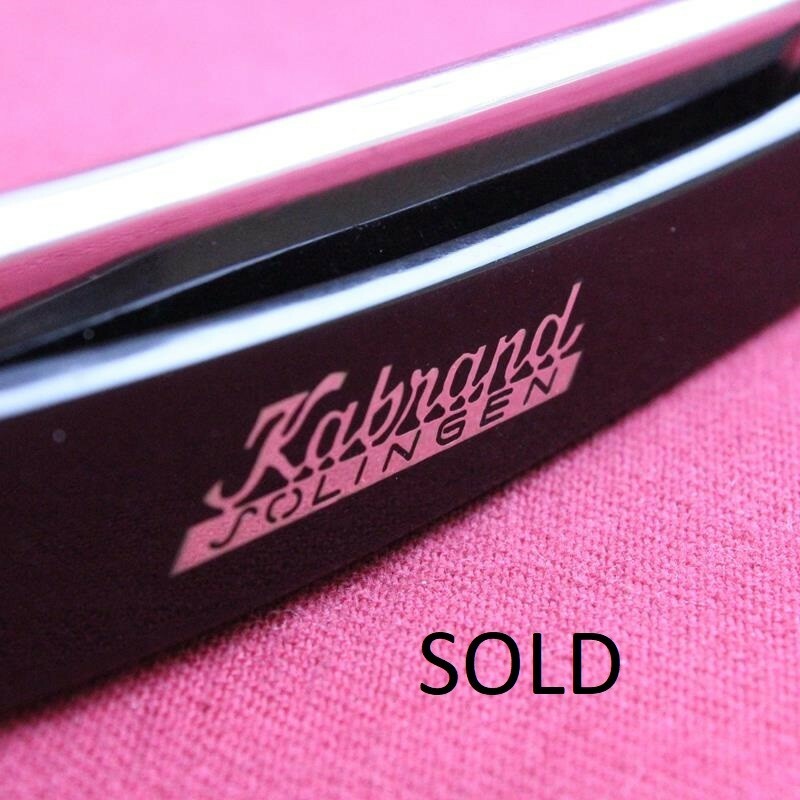 Lamy-Kabrand was a French company with headquarters in central Paris and a factory in the western suburb of Rueil, Malmaison. 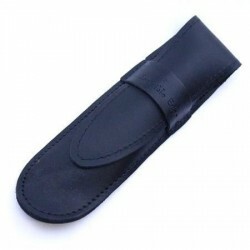 Its roots are in a company founded in the 1920s by Salomon Marx and Albert Hirsh called Marx & Hirsh. 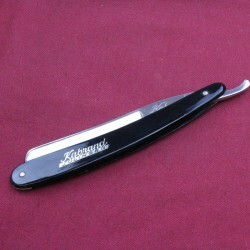 The manufactured and sold supplies for barbers and hairdressers as well as smoking items. 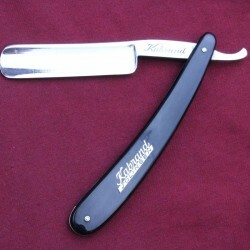 The razor is marked as Kabrand Solingen and “Garantie Solingen” on the tang so this razor was manufactured (or at least ground) for the company in Solingen, Germany. 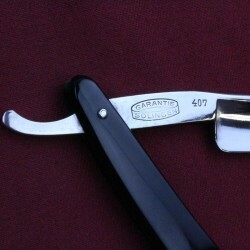 The tang is also stamped 407 which was the company’s largest model of half-hollow razor designed to tackle stronger beard growth.